West Virginia governor Earl Ray Tomblin announced a state of emergency in nine counties on Thursday, following a chemical spill into the Elk River, prompting a water ban that is reported to impact 300,000 customers. 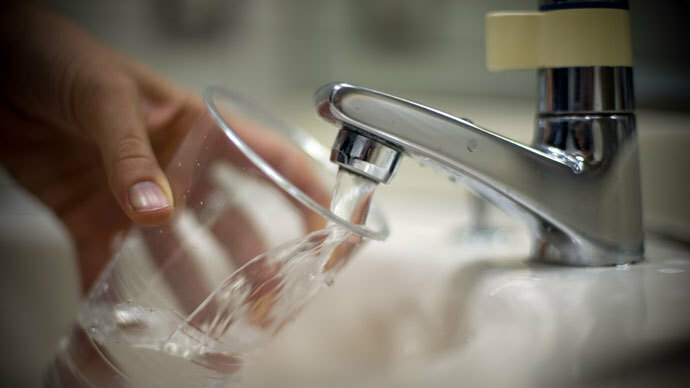 Local residents are urged not to drink, bathe, or cook with the water from their taps. Water use has only been permitted for flushing or fire emergencies. West Virginia American Water customers in Boone, Lincoln, Cabell, Kanawha, Jackson, Clay, Logan, Roane and Putnam counties are included in the state of emergency, according to WSAZ. “If you are a customer of West Virginia American Water, please do not drink, bathe, or cook, or do laundry using the water at this time. Please only use the water for sanitary reasons like flushing and fire protection,” said a voicemail from the Kanawha county emergency services received by locals. 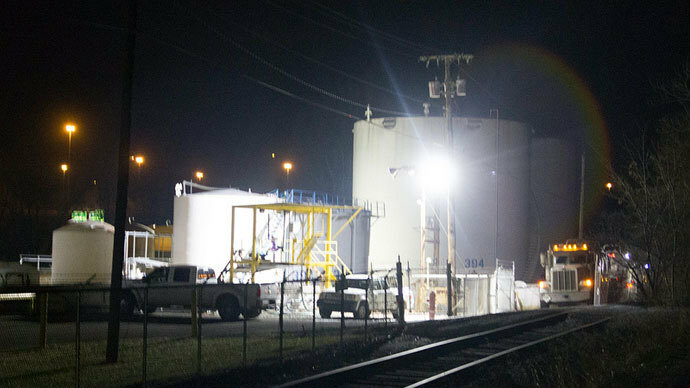 According to reports, the leak of 4-Methylcyclohexane Methanol, a chemical used in the froth flotation process during coal washing, came from a tank at Freedom Industries in Charleston. So far Freedom Industries had not provided any comment. The Kanawha Charleston Health Department told WSAZ that daycares, universities, restaurants, and schools will need to shut down. West Virginia American Water stated that the leaked material is hazardous, but is not deadly.The Federal Emergency Management Agency has been tasked with bringing clean water into the area. The smell of the contaminated water is reported to be similar to liquorice, and officials said would likely taste like gas. Governor Earl Ray Tomblin said it is not yet known how long it will take to fix the leak and the state of emergency will be in place until the water is safe to drink. 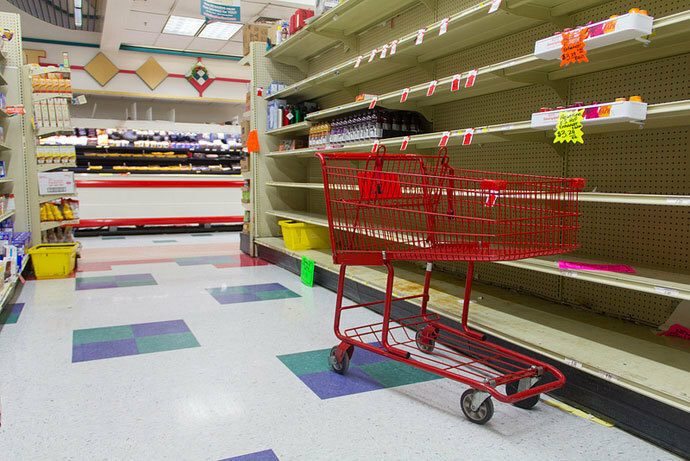 Locals are reporting that stores are running out of bottled water and unverified reports on Twitter describe people fighting over leftover bottled water. There are several water stations being set up for West Virginia American Water customers, Kanawha County Department of Homeland Security and Emergency Management reported.